A rapidly-growing field, stroke and cerebrovascular research is unique in that it involves a variety of specialties such as neurology, internal medicine, surgery, radiology, epidemiology, cardiology, hematology, psychology and rehabilitation. ‘Cerebrovascular Diseases’ is an international forum which meets the growing need for sophisticated, up-to-date scientific information on clinical data, diagnostic testing, and therapeutic issues, dealing with all aspects of stroke and cerebrovascular diseases. It contains original contributions, reviews of selected topics and clinical investigative studies, recent meeting reports and work-in-progress as well as discussions on controversial issues. All aspects related to clinical advances are considered, while purely experimental work appears if directly relevant to clinical issues. 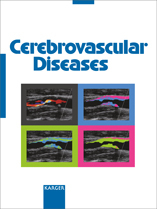 The open access journal ‘Cerebrovascular Diseases Extra’ provides additional contents based on reviewed and accepted submissions to the main journal ‘Cerebrovascular Diseases’ on www.karger.com/cee. 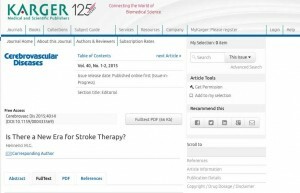 From the ESC 2015: Is there a new era of stroke therapy? EDITORIAL Please download this PDF file! 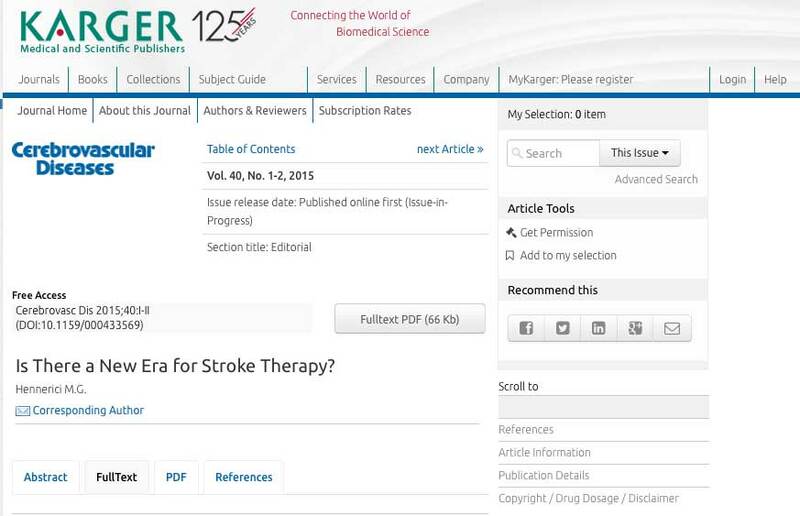 The Editorial itself will be published in Cerebrovascular Diseases (issue 40/1-2/15).